Need help planning your trip? Click Here to discover the very best New Orleans has to offer! CONNECT is the Annual Next Gear User Conference & Trade Show - where our family of customers, partners, employees and thought leaders come together for a week of unparalleled learning, networking, fun, and innovation. When and Where is CONNECT? CONNECT 2020 will be held January 14-17 at the Hyatt Regency in New Orleans, Louisiana. The Hyatt is located at 601 Loyola Avenue, New Orleans, Louisiana, USA, 70113. You can contact the hotel at (504) 561-1234.
Who is Next Gear Solutions? Next Gear Solutions, Inc., founded in 2008 and headquartered in Oxford, Mississippi, develops and provides restoration management software solutions for the restoration industry. Learn more about our company here. Who do I contact if I have questions about the app, agenda, IICRC CE Credits, certifications, attendee registration, exhibiting/sponsoring, accessing the exhibitor kit, ordering/shipping items for my booth or becoming a speaker/instructor at CONNECT? Please contact our CONNECT Conference Team here or by emailing attend@nextgearconnect.com or by calling our conference hotline at (662) 333-8053. Will you contact me to make hotel reservations for the convention? Is this a scam? If you receive a phone call from an individual reaching out to make hotel reservations with a housing authority or take credit card information, please disregard as these scammers are in no way associated with Next Gear, the Hyatt or CONNECT. To report, please contact our CONNECT Conference Team here or by emailing attend@nextgearconnect.com. Are there special hotel rates? How do I make hotel reservations? The CONNECT reservation portal with special discounted room rates starting at $219/night can be found here. Whether you are already a Next Gear Partner, or new to our family and looking to transform your business, we welcome you to be a part of this exciting event! Whether you are a cleaning service, full service contractor or roofer, CONNECT has developed a groundbreaking agenda that touches all facets of your business. You can feel confident in bringing your entire staff to the convention, knowing they'll be receiving an extraordinary education. CONNECT is also IICRC CEC Approved! Earn 14 continuing education credits with the Institute of Inspection, Cleaning and Restoration Certification by attending the convention, enough to cover your continuing education requirements for four years! Choose from over 30 different track & breakout sessions taught by exceptional instructors, each specifically designed for owners, general managers, coordinators & administrators, finance & accounting staff, sales & marketing reps, project managers & estimators, and field techs. Agents, adjusters, executives & other Insurance Professionals have the opportunity to rub shoulders with Industry influencers and discover trends & technology that are shaping the future. Attend keynotes featuring dynamic speakers, and learn from a panel of Insurance Carriers on the ever-changing world of Property Restoration. Discover new opportunities, drive demand, capture leads, find new customers and exciting ways to help generate revenue. Leverage the momentum of Next Gear and our suite of brands to announce new products, expand brand awareness, and gain instant traction throughout the entire ecosystem. If you are interested in exhibiting or sponsoring at CONNECT, please contact us by clicking here, emailing exhibit@nextgearconnect.com or by calling our conference hotline at (662) 333-8053. CONNECT will provide you with exclusive content intended to ignite a positive change in your company. You will be surrounded by the best minds in the Industry and a wide range of strong perspectives to engage with. Find the courses that are right for you, while working with a vast team of trainers, consultants, experts and other high performers in your same role. Network amongst elite Contractors, Equipment & Service Suppliers, Insurance Carriers and Property Restoration Professionals. Gain the insight you need to take on any challenge in the Industry, while leveraging Next Gear's robust suite of tools and applications to unlock the true potential of your company. CONNECT has developed a groundbreaking agenda with dynamic speakers that touches all facets of your business. You can feel confident in bringing your entire staff to the convention, knowing they'll receive 14 IICRC CE Credits (enough to cover your continuing education requirements for four years), and an extraordinary education. Learn more about why you should attend here. Is the conference eligible for IICRC CE Credits? How do I receive credit? Yes! CONNECT is IICRC CEC Approved! Attendees will earn 14 continuing education credits with the Institute of Inspection, Cleaning and Restoration Certification, enough to cover your continuing education requirements for four years! Forms will be provided in the breakout sessions for attendees to fill out and receive credit. What modes of public transportation are near the convention? Guests can enjoy quick and easy transportation to the city’s most popular attractions via the Loyola-UPT Streetcar Line, which passes approximately every 20 minutes across from the hotel. The cost to ride streetcars in New Orleans is $1.25 and can be paid with exact change when you board. 1-Day and 3-Day unlimited ride Jazzy Passes are also available for $3 and $9. For more information, please contact Hyatt Concierge at (504) 561-1234. What is the best way for me to get to/from the Airport? Taxis, Uber and Lyft are ready to get you to and from New Orleans International Airport (15 miles from the Hyatt Regency), in and around the French Quarter and wherever else you need to go. The city has imposed taxi flat rates to and from the airport starting around $35+. Discount only applies to reservations made through the special web portal found by clicking here. Provided by Airport Shuttle - Round Trip $40 per person, One Way $20 per person. You must book at least 24 hours prior to your flight time. What major transportation centers are nearby? The hotel offers valet parking on property and is attached to a public self-parking garage. In addition to the hotel’s valet, there are also several nearby parking lots, including the 1301 Girod Parking Garage that connects directly to the hotel. You can also enjoy chauffeured transportation throughout the Big Easy, as the concierge will be happy to assist you with those reservations [pricing subject to change]. Short Term Hourly Valet Rates at Hyatt Regency: 0-1 Hour - $10, 1-2 Hours - $15, 2-4 Hours - $22, 4-10 Hours - $30, 10+ Hours - $40, Standard Overnight Parking - $40 + tax, Fuel Economy Vehicles Overnight - $30 + tax. 1301 Girod Parking Garage (Subject to Price Change and Special Events – Contact Merit Parking at (504) 561-0575 for confirmed pricing): 0-1 hr - $4, 1-2 hr -$6, 2-3 hr - $8, 3-9 hr - $12, 9-12 hr - $20, 12-24 h - $25, Lost ticket - $100. Will Wi-Fi be provided by the conference? Complimentary standard Wi-Fi will be provided throughout hotel guest rooms and public spaces at the Hyatt Regency New Orleans if you book through our CONNECT Hyatt Regency reservation portal. Yes! There are limited seats available for all sessions, so register today! Where can I access trip planning tools? CONNECT has partnered with the New Orleans Convention Bureau to provide you the very best information on deals, restaurants, bars, transportation, events, things to do and much more! Access the guide by clicking here. Where can I access the current list of exhibitors & sponsors? 2019 Exhibitor & Sponsor list can be found by clicking here. Is there a Business Center at the Hyatt Regency? The on-site FedEx Office® Print & Ship Center offers the critical business services you need. Posters, banners, copying, printing, or last-minute office supplies? They have you covered. Hours: Monday – Friday 7:00am - 7:00pm, Saturday 10:00am - 5:00pm, Sunday 10:00am - 5:00pm. What is the payment policy for attendees? CONNECT accepts several methods of payment for attendees: Visa, Mastercard, Discover, and American Express. Payment must accompany attendee registration. Registrations without payment will not be processed. What is the attendee refund policy? All cancellation requests must be submitted in writing to the CONNECT User Conference Help Desk at attend@nextgearconnect.com. Full refund: Cancellation notices must be received by 11:59 pm PT on NOVEMBER 1, 2019. 50% refund: Cancellation notices must be received between 12:00 am PT on NOVEMBER 2, 2019, and 11:59 pm PT on DECEMBER 15, 2019. No refunds will be processed for cancellation notices received after 12:00 am PT on DECEMBER 16, 2019. How can I request accessibility accommodations and/or services at CONNECT? You can request accessibility accommodations and services when registering for CONNECT by indicating that you have accessibility requirements. A representative will call you to discuss your needs to make sure your experience on site is enjoyable. Please complete this section upon registering or email attend@nextgearconnect.com your request. Whom should I contact if I have special dietary needs or allergies? There is a section on the conference registration form for dietary needs or allergies. Please complete this section upon registering or email attend@nextgearconnect.com your request. Where can I charge my mobile devices? There will be special Charging Kiosks set up throughout the conference for you to power up all your devices! Does CONNECT have a code of conduct? Our code of conduct outlines our expectations for participant behavior and can be found here. What are exhibitors allowed to attend? Exhibitor Conference passes include access to all receptions, trade show hall, all general & keynote sessions, breakfast/lunch meals, special general industry breakouts, Insurance Carrier sessions, and networking breaks. This pass does NOT include access to tracks specific to software user roles [Finance/Accounting, Sales/Marketing, Owner, General Manager, Admin/Coordinator, Field Tech, Project Manager]. Seats for these sessions are reserved for attendees & Next Gear software users who are NOT exhibitors/sponsors. Special Industry breakouts will be announced for exhibitors to attend when these tracks are in session. Where can I find a list of exhibitor FAQ? Click here to access FAQ created specifically for CONNECT exhibitors. 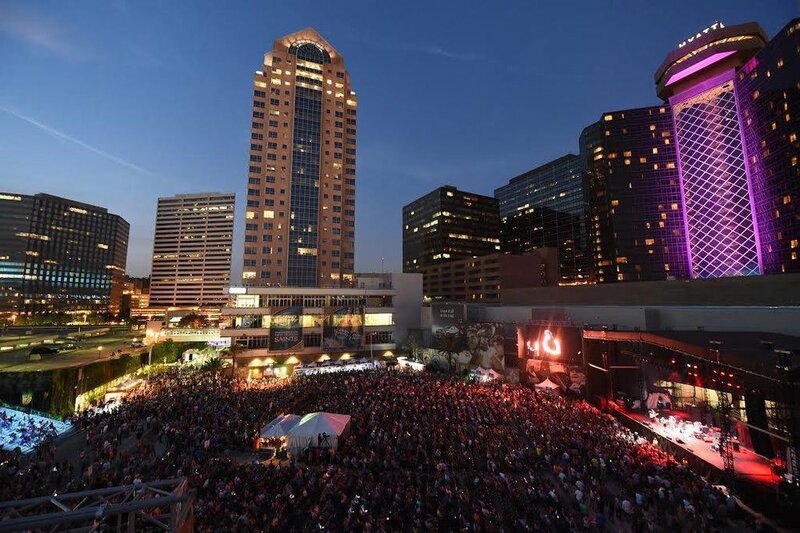 Located next door to the Superdome, Smoothie King Center and Champions Square, the Hyatt Regency offers easy access to the area’s most popular attractions. Hop on the Loyola Avenue Streetcar, or walk to the French Quarter, Arts District, and the scenic Mississippi Riverfront. With eight diverse options, Hyatt's award winning culinary team will wow your taste buds. 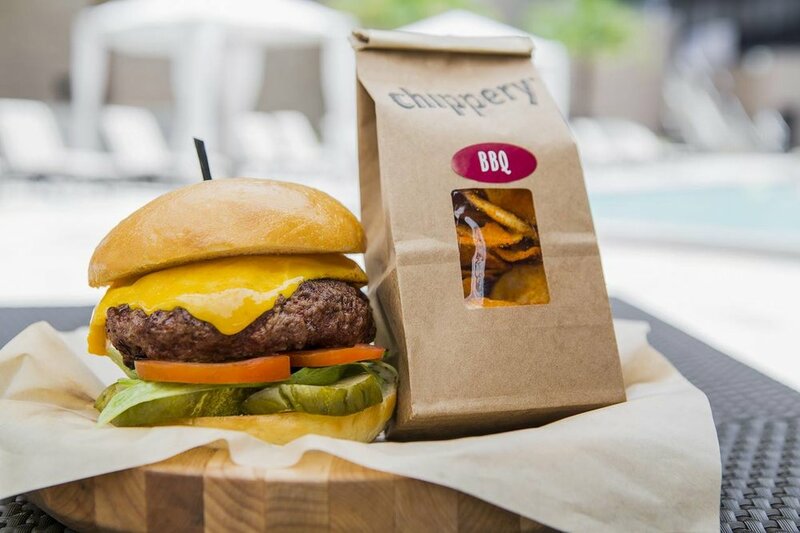 Enjoy BBQ at Q Smokery, a breakfast or lunch buffet at 8 Block Kitchen & Bar's restaurant, a burger at Vitascope Hall, a state-of-the-art sports bar, and get the best local seafood at Borgne Restaurant. Sophisticated designs with city and Superdome views. Guestrooms blend historic style with modern conveniences of flat-screen TVs, and complimentary Wi-Fi. Relax at the Le Jardin Spa or in the heated rooftop pool, lounge on the Bywater pool deck in a cabana, and enjoy skyline views from the Regency Club Lounge and 24 Hour StayFit™ Gym.